Cheap Thrills from Trader Joe's-Spokane,WA. 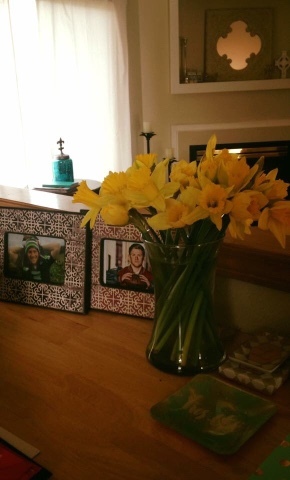 Happy Daffodils for only $1.49 a bunch. Daffodils always remind me of the Walt Whitman poem, I wandered lonely as a cloud.